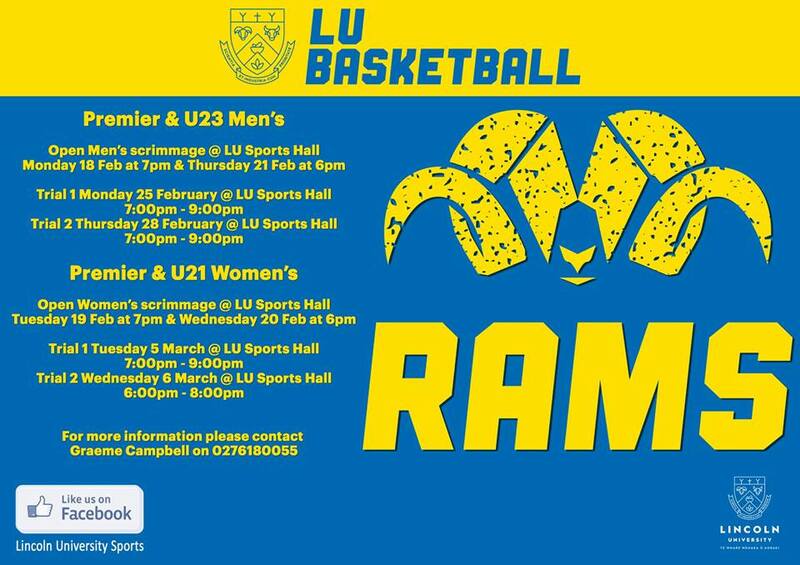 LU Sport welcomes all new and returning students to campus. LU Basketball plays in the Canterbury Basketball Association as a club (so not just LU students can play for us). For any further information please contact Graeme Campbell at the Recreation Centre.